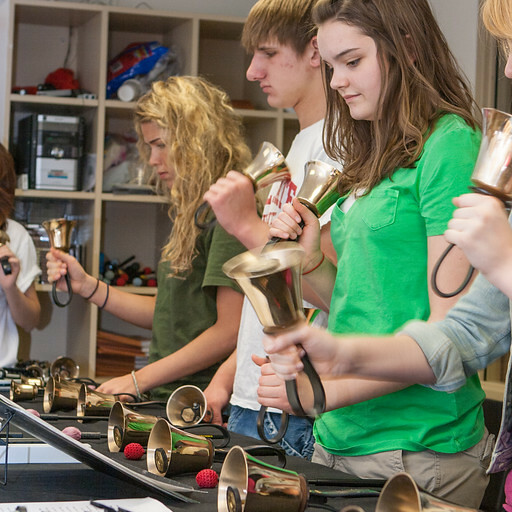 forzandoArts makes it easy for schools, community organizations, and churches to start or expand their handbell and handchime music programs. 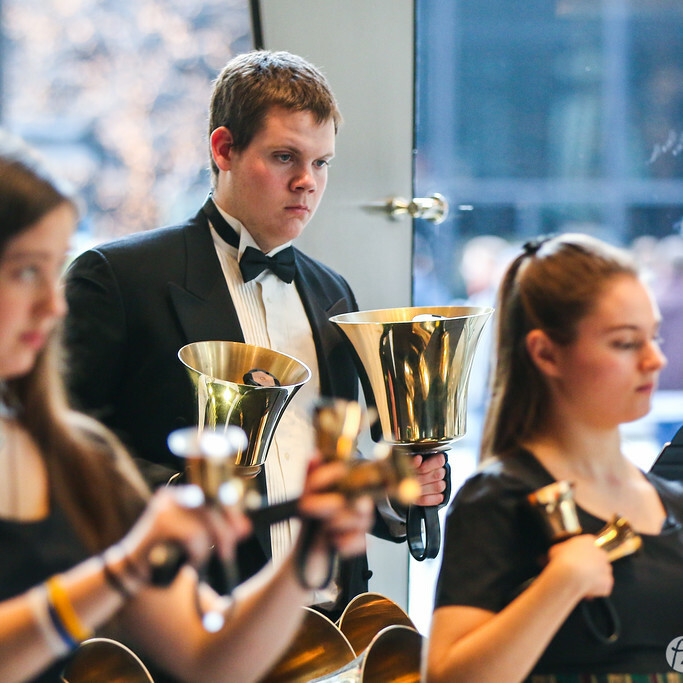 We offer competitve solutions and personal service, with options for to rent or rent-to-own partial or complete sets of handbells or handchimes. How does the forzandoArts Instrument Program work? Your organization picks out the instruments needed and we'll help you with the rest, including shippping, insurance, and even consulting as needed. Is there a minimum rental amount or period? We'll rent any range of instruments you need, from a single handbell to seven octaves of handchimes. Generally the shortest rental period is one month. The most economical options are year-long rental programs. Do we get new instruments with the rent-to-own option? Yes! At the conclusion of the three year rent-to-own program, you will receive brand new instruments directly from the manufacturer complete with the full warranty. And so that your program isn't interrupted, forzandoArts will continue to provide the rental instruments for free while the manufacturer creates your instruments just for you! Who can rent handbells and handchimes? Any school, community organization, music ensemble, religious institution, or musician can qualify to rent from forzandoArts. Depending on your requested rental terms, we may require a credit check. We can help! Which do you need? Rental subject to availability; select instruments may require minimum rental term. Refundable deposit equals one month rental rate and is included in first payment; recurring annual billing will be adjusted prior to renewal. Final shipping fee will be provided in the rental agreement and includes packaging, shipping insurance, and delivery and return of your rental instruments. Final shipping fee will be provided in the rental agreement and includes packaging, shipping insurance, and delivery and return of your rental instruments. First payment is a refundable deposit, which equals one month rental rate. Shipping and sales tax for new instruments will be calculated based on rates provided by Schulmerich and will be invoiced separately. *During the rental period, forzandoArts may substitute Malmark aluminum bells for C2-A#2. * forzandoArts strives to maintain accurate pricelists, and we reserve the right to correct invoices to reflect the current Schulmerich list price at time of purchase. Final shipping and sales tax for new instruments will be calculated based on rates provided by Schulmerich and will be invoiced separately, accounting for any shipping fee already paid. Final shipping fee will be provided in the rental agreement and includes packaging, shipping insurance, and delivery and return of your rental instruments. First payment is a refundable deposit, which equals one month rental rate. Shipping and sales tax for new instruments will be calculated based on rates provided by Malmark and will be invoiced separately. Who has used instruments from forzandoArts? Have a question about the forzandoArts Instrument Program? forzandoArts is not affiliated with Schulmerich Bells, Malmark Bellcraftsmen, or any other manufacturer and is not responsible for their warranty guarantees or service. Upon completion of a rent-to-own program, forzandoArts will facilitate your purchase with your chosen manufacturer — you or your organization will be the first owner of record for the instruments purchased.